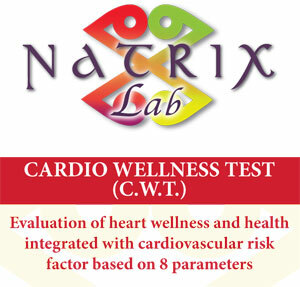 The Cardio Wellness Test (C.W.T.) 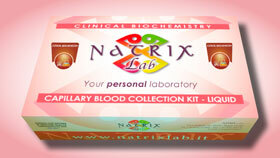 is a health indicator for the cardiocirculatory system, and involves evaluating 12 risk parameters, i.e. : LDL Oxidase, Total Cholesterol, HDL Cholesterol, LDL Cholesterol, Triglycerides, Homocysteine, Reactive Protein C, APO A1, APO B, Peptide C, Vitamin D3, Lipoprotein A, Plasmatic fatty acids. It is used to evaluate potential cardiovascular risk, providing essential data to understand whether your lifestyle and habits (eating and others) put you in risk of pathologies such as hypertension, angina, stroke, cardiac decompensation. This way you can understand what to do to prevent these pathologies occurring. In particular, apart from giving the levels of each single parameter, the test also expresses an evaluation called the absolute cardiovascular risk indicator, expressed as a percentage potential of suffering a major cardiovascular event in the next ten years (infarction or stroke). Any family members have suffered major cardiovascular events, and you want to evaluate whether you could develop them. If you are overweight and have a bad diet. 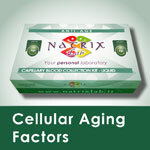 If you are an athlete and want information about how healthy your cardiovascular system is. You lead a very stressful life, with little free time and little chance to dedicate to your health. You smoke heavily, drink alcohol or coffee. 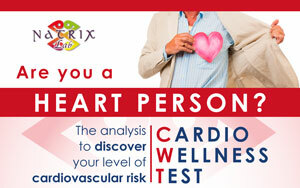 If the test shows a high indicator of cardiovascular risk, consult your doctor for precise advice and treatment as prescribed. In all events, remember that lifestyle and diet are very important factors to conserve a healthy cardiovascular system. A special diet, perhaps associated with medication prescribed by a specialist, helps reduce the risk of major cardiovascular events, directly working on the metabolic alterations that are behind the pathology. You have changed your lifestyle. Zebrack JS, Anderson JL, Maycock CA, et al. : Usefulness of highsensitivity C-reactive protein in predicting long-term risk of death or acute myocardial infarction in patients with unstable or stable angina pectoris or acute myocardial infarction. Am J Cardiol 2002; 89: 145–149. Dahlen GH, Guyton JR, Attar M, Farmer JA, Kautz JA, Gotto AM: Association of levels of lipoprotein Lp(a), plasma lipids, and other lipoproteins with coronary artery disease documented by angiography. Circulation 1986; 74: 758-65. De Lorgeril M, Renaud S, Mamelle N, et al. 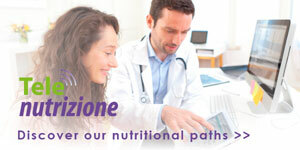 : Mediterranean alpha-linolenic acid-rich diet in secondary prevention of coronary heart disease. Lancet 1994; 343: 1454-59.